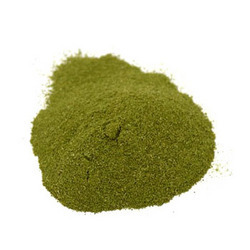 We are engaged in manufacturing a wide range of pure and effective herbal & botanical products like soya protein powder, wheatgrass powder, bottle gourd powder, bitter gourd powder, botanical products, etc. These are hygienically processed and packed and help in improvising the resistance to fight various infections in our body. We also meet customized requirement for our clients benefit. 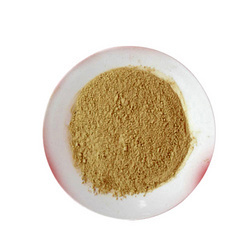 Our range of noni powder can be used as a daily dietary supplement. These are hygienically processed and packed for our clients spread worldwide. We also meet customized requirement for our clients benefit. Our range of spinach powder is 100% pure, dehydrated fresh noni fruit (Morinda Citrifolia) with no additives or preservatives. These are quality tested on various parameters before being delivered to our clients. We also meet various customized packaging for our clients benefit. 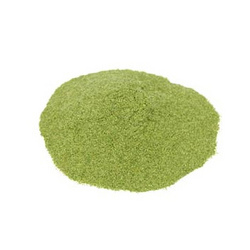 Available with us is a diverse gamut of Broccoli Powder (botanical name- brassica oleracea) that is prepared by our team of expert professionals. These are hygienically packed to maintain their taste and aroma for a longer duration. We also meet customized requirement for our clients benefit and offer these at industry leading prices. 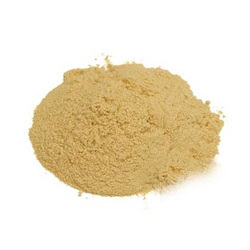 We are engaged in manufacturing a wide range of pure and effective shatavari powder. These are hygienically processed and packed and help in improvising the resistance to fight various infections in our body. Ayurveda: Women's herb, Decreases Vata & Pitta, increases Kapha or ama in excess. We offer various wheatgrass powder which is organically and biotechnically produced from green wheatgrass in most natural form. Wheatgrass is known as the nectar of rejuvenation, the plasma and blood of everybody’s life and is one of the best sources of Chlorophyll that is available in nature. It includes barley grass, oat grass and rye grass. The wheat grass is a potent, convenient and reasonable way to get one a daily quota of 5 to 9 servings of fruits and vegetables. 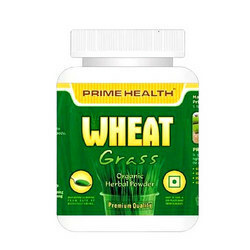 Our range of wheat grass powder is known to improve the digestion and helps in liver detoxification. Moreover, if consumed regularly, it results in improvement of red blood cells count and hemoglobin causing more oxygen carrying capacity. It also serves full of vitamins, minerals, enzymes, amino acids, phytonutrients and carotenoids to get optimal health. 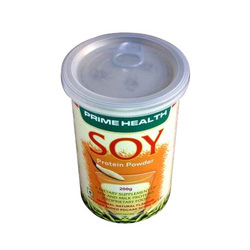 Our range of soya protein powder is 100% natural, fat free, cholesterol free and vegetarian. It consists of bend of Whey and Soy protein that provides the optimal profile of essential amino acids and calcium and iron. Soya has been clinically proven to reduce the total cholesterol and triglyceride levels while increasing the HDL (good cholesterol levels). Moreover, it acts as a good substitute source of protein and calcium for individuals with lactose intolerance and diabetes. 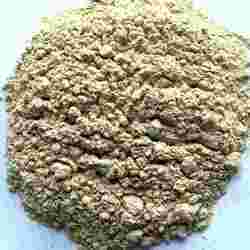 We manufacture quality range of bitter gourd powder, which is hygienically processed and packed. Bitter gourd is a blood purifier and helps in activating spleen and liver and is also highly beneficial for diabetics. Known for its high nutritive value, it can also be used in food preparation, can be blended with spicy tomato juice for a tinge of bitter-sweet savor, and can be mixed with soups and gravies. 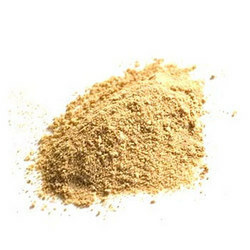 Our range of ashwagandha powder helps in minimizing the negative effects of stress, supports a healthy immune system and also helps in building sexual and reproductive balance. These are hygienically processed and packed at our quality-testing laboratory and are offered at industry leading prices. Adaptogenic Herb - Helps to reduce the negative effects of daily stress. Qualities: Earth, sweet, warming, bitter, astringent and building. Systems: Reproductive, nervous and respiratory. We provide a wide gamut of bottle gourd powder that are prepared from natural ingredients and are devoid of any kind of dulterants. Our range of bottle gourd powder is fresh, pure and safe to consume. It helps in strengthening heart muscles so that heart works properly. It is very much beneficial for Heart because it serves as an alkaline mixture so that it reduces the acidic nature of pericardial fluid by increasing pH value. It helps in digestion and eases constipation. 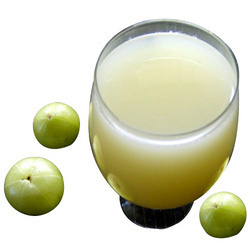 Our range of amla candy, which is also known as amlaki or emblica officialism is a natural, efficacious antioxidant. It is one of the natural sources of vitamin C and has very strong health rejuvenating properties. Available in various packing, these are highly demanded by our clients. Looking for Herbal And Botanical Products ?